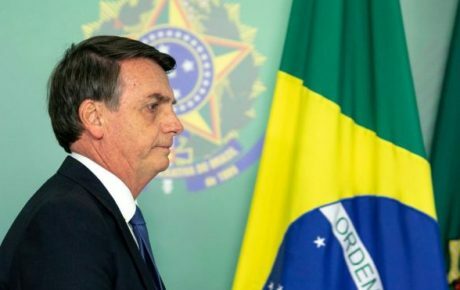 President Jair Bolsonaro is the least popular first-term head of state in the first three months of government. His approval rating is comparable to presidents in their second terms—after years taking political hits. This poses a stark contrast to his growing popularity on social media. Despite preaching union in his inauguration speech, the president has sowed division within Brazilian society. Mimicking Donald Trump, Mr. Bolsonaro engaged his loyal social media base through controversial issues, attacking Carnival celebrations, the press, and even his allies. 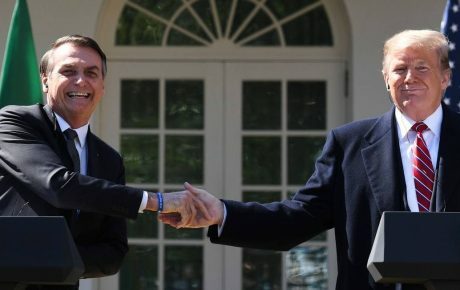 In his first three months, Mr. Bolsonaro was true to the conservative agenda he has always supported, in fighting what he calls “gender ideology” (a dog-whistle term for homophobia) and adopting a hard-line approach against crime. Meanwhile, the opposition seems to take every piece of bait, fueling the “Us v. Them” narrative. According to research by Congresso em Foco, 75.4 percent of party leaders in Congress think the administration is poorly managing the pension reform negotiations. One of the most common criticisms of the president’s style is that, by spending time and energy on issues such as claiming Nazism is a left-wing idea, and retweeting videos of golden showers, he diverts attention from what really matters. Among the controversial cabinet, the Minister of Women, Family and Human Rights, Damares Alves, is by far one of the most vocal members of the administration regarding the government’s conservative agenda. From the beginning of her term she has drawn attention for her political stances towards issues such as gender, stirring turbulence on social media. However, she is also following the goals established for the area, fostering campaigns to prevent suicide and self-harm. Recently, Ms. Alves said the government is working on a provisional measure to regulate homeschooling in Brazil—another of the department’s goals. 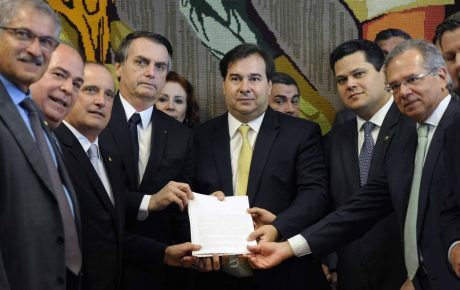 Addressing one of his main campaign promises, Mr. Bolsonaro eased requirements for owning weapons and quickly submitted the so-called anti-crime package proposed by Minister Sergio Moro to Congress, fulfilling the goals it set for the first administration. So far, the bill is being overshadowed by the pension reform in Congress and Mr. Moro’s retreat about illegal campaign financing wasn’t well received. The Ministry of Justice and Public Security is preparing a program to fight violent crimes, but it won’t take effect until the second half of the year. Meanwhile, cases of violence have not let up on the news, making people wonder about the effectiveness of the government in one of its major causes. 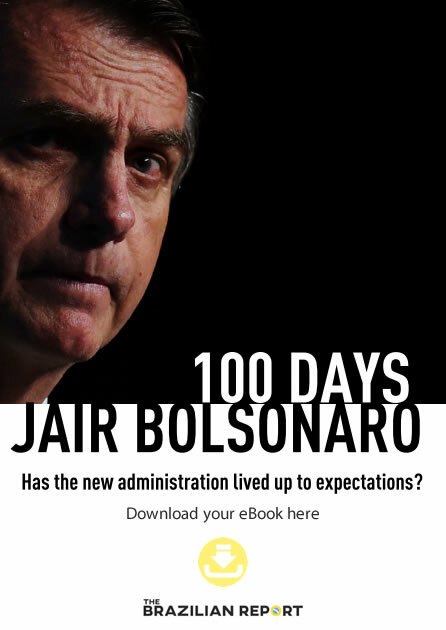 Mr. Bolsonaro has repeatedly attacked pollsters and statistics institutes, as well as questioning their methods, after unfavorable results. 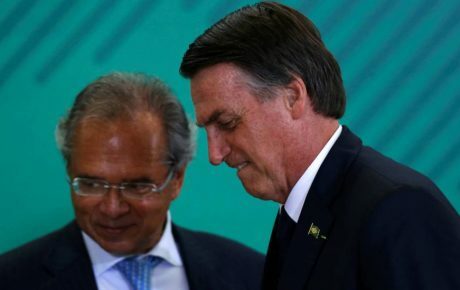 The measure has been questioned by economists and the media, who claim the government is actually putting its head in the sand to avoid facing Brazil’s real economic and political issues. “The president’s posture towards agencies and results offered by institutes presents a government that does not deal well with criticism and adds to the feeling of a government that rarely explores rationality. 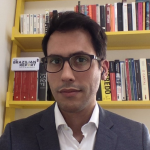 At worst, it affects the president and the administration’s credibility.” Rafael Cortez, partner and political scientist at Tendências consultancy.